The 3-position, single motor, D30 lift and recline chair has all the standard features with greater seat depth and backrest width making this chair more comfortable for larger framed users. The split-back ‘T’ design provides superior head support and comfort. 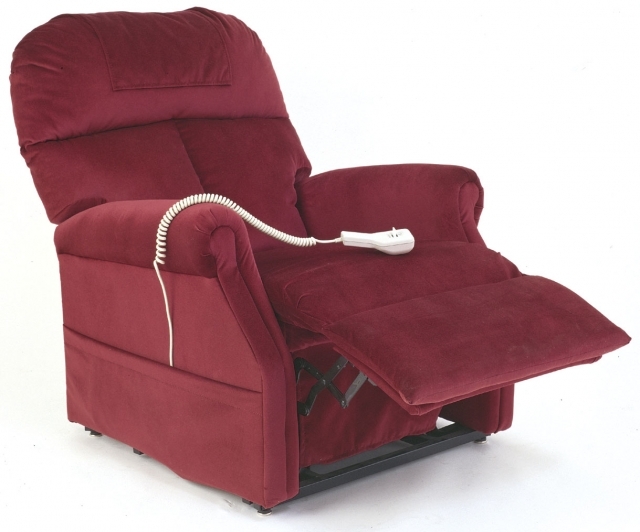 Includes arm and headrest covers, durable laminate/hardwood frame and offers a robust 170kg weight capacity. Available in various colour fabrics and vinyl. Please contact us for more details or demonstration.